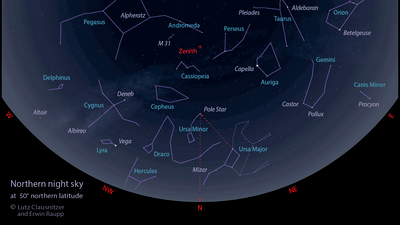 Teach and learn about the night sky and the history of its observation using this app. 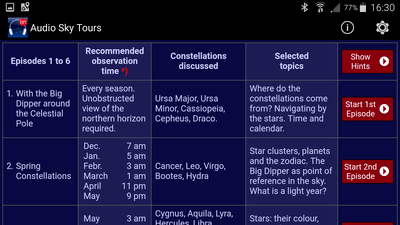 Its sequence of lessons can be used either when observing the stars or as a guide in advance. This app is designed to talk a viewer of the night sky through what they might see. 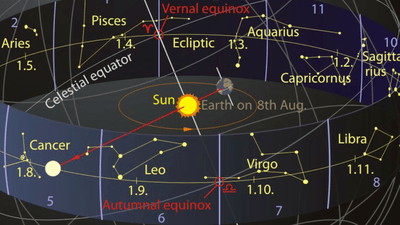 One of six superbly written lessons is read out very clearly alongside a sky map that reflects what the viewer should be able to see from his or her location at the appropriate time of year. The narration includes some well-judged pauses for the listeners to make sense of what they have learned or for teachers to pause it for some discussion. Each one of the 20-minute lessons hits just the right note. They talk the listener through navigating between the different celestial objects. History and myths punctuate the star gazing, drawing the listener into realising that they are engaging in an activity that is as old as humanity's curiosity. The main problem with astronomical observations is the time sensitivity of some of them. This is the fault of the stars, though. 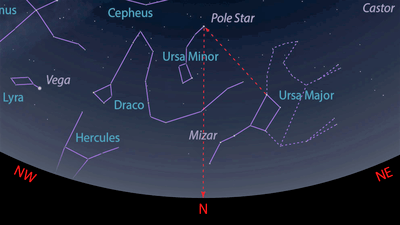 A night sky is required and not every constellation is visible all of the time. Those interested in astronomy must learn patience. 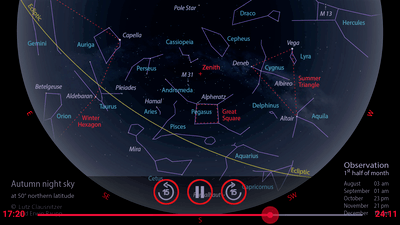 The Audio Sky Tours app addresses this practical limitation by providing a full array of screen-based Star Charts, so that the user can follow the text visually, even on a cloudy night or out of season. This isn't ideal for the teachers who want to incorporate some practical astronomy into their lessons but, on the other hand, it gives them the chance to incorporate it in some form. Each lesson displays a map of the night sky, so projecting the app to a display will let children have a go at finding the stars. At home, with their parents, they might follow this up from their windows and gardens. Teachers who are particularly keen could arrange a nighttime viewing session with children and parents, based on the app's lessons, as they can be spread out over just a few nights during the course of the year. Scout leaders and other youth group coordinators should also consider inspiring young people to take an interest in science with this app. The app obviously lends itself to science lessons but its acknowledgement of the myths and peoples behind the naming of constellations can make it part of other subjects too. Teachers don't have to be an expert themselves as they can easily learn alongside their class. A very useful set of worksheets is available from the app's supporting website for teachers to print and make use of. With just a little extra preparation, a full lesson could easily be built around each of the app's talks. It is easy to check out the app's suitability as the first lesson of the app is available as a free sample. Astronomy isn't an area where teachers have access to a lot of resources for their lessons nor one where they might be particularly confident themselves. This app is a superbly made way of overcoming both problems and expanding children's minds in, perhaps, the biggest way posible. This astronomy app is designed to be listened to, an exciting audio guide to the night sky and the stars. The guide leads you on five 20-minute explorations, through constellations and celestial objects, answering some of humanity’s great questions. How does the Universe work? And where do the constellations come from? Beginners and experienced Star Gazers alike are entertained along the way, with musical accompaniment and the ancient myths of the heavens. 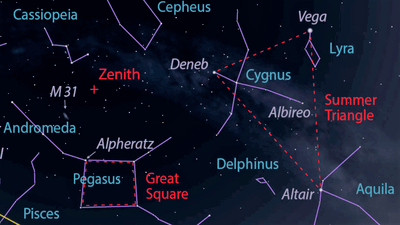 As we explore a given area of the sky, a map of that area appears on your phone or tablet screen, enabling the app to be used at any time of day or night. The narrative structure builds on the history of astronomy itself. Thus, we move from the straightforward and observable to the demanding discoveries of modern science. This app will help you understand your own place in the Universe. Beginners are encouraged to follow the narrative first on screen. 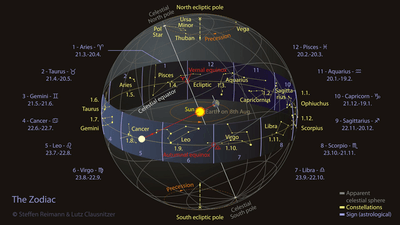 Then, confronted with the real night sky, at the recommended observation times, the user can readily identify the constellations and begin to understand their significance and interconnectedness. A supplementary sixth chapter gives a comprehensive historical overview of the discipline. The whole of Chapter 1, along with observation hints and a contents list of the complete app, is made available in the free download. This app, published for the first time in English, was available a year earlier in German. 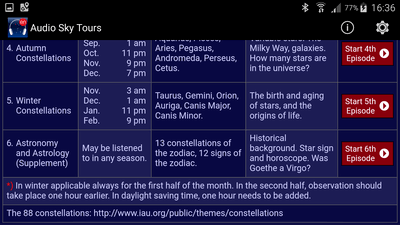 Astronomie.de comments: ‘We love the way this app explains astronomy’. Switzerland’s leading educational observatory, in Steffisburg, describes it simply as ‘the best app in years’. Consistently rated with 5 Stars on Google Play Store and the Apple App Store, this guide to the stars will surprise and thrill you. If you want to consolidate the information you hear, you may use the free work sheets supplied on the author's website. They are especially helpful if the app is used in classes.